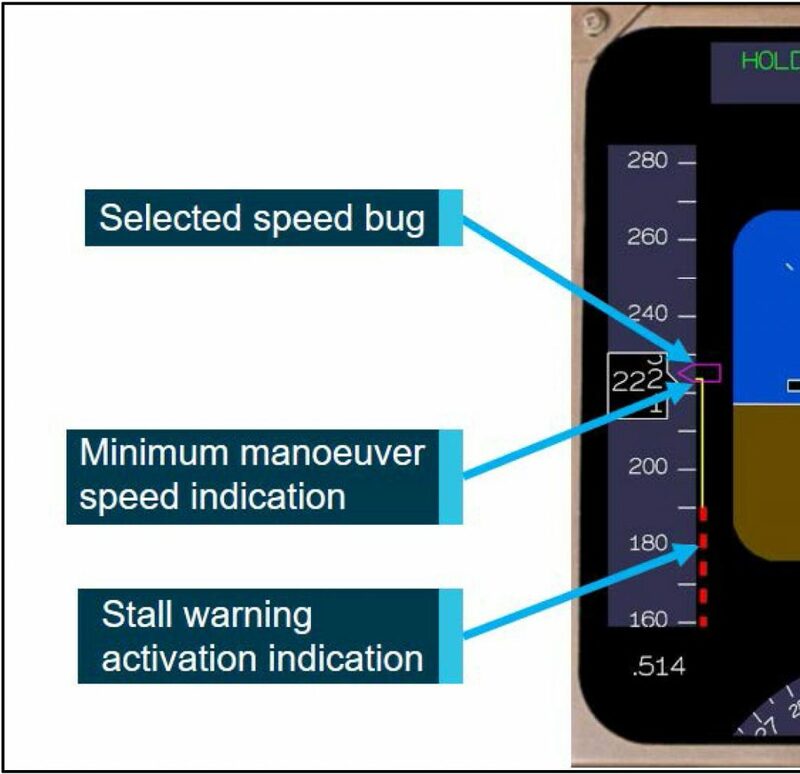 The release of the ATSB investigation into QF29, a Boeing 747-400 that experienced multiple stick shaker activations while taking up a holding pattern on arrival into Hong Kong in April 2017 has a number of lessons applicable to anyone operating a 777 (such as myself). I’m absolutely not going to descend into criticisms or a review of pilot actions in this occurrence (lest someone does the same for any of the less than exemplary actions I’ve made in my 30 year aviation career). But I do believe the actions taken by this crew in the FMC warrant examination – not in the least because I see similar issues in my operation (simulator and aircraft). 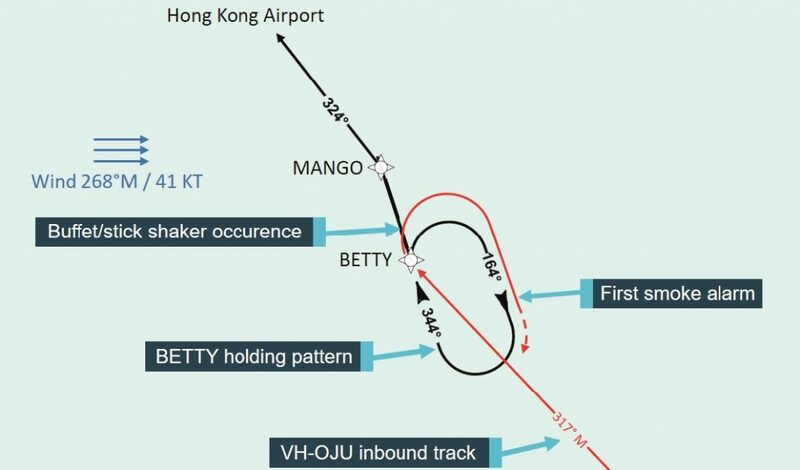 Please read the report – but essentially the precursor to this low speed event at FL220 in the Holding Pattern near Hong Kong was the crew’s action in anticipating a likely hold altitude of FL160(ish) and an associated speed of 223 Knots IAS. But when it came time – they entered the hold nearer FL220, where the best hold speed would have been more like 240 kts. I’ve written before about the jump in Minimum Manoeuvre Airspeed we see as we climb through FL200 on departure. The Boeing FCTM covers this issue, but until you’ve tried to climb out in a heavy 777 at low speed – you really don’t appreciate the impact of the jump in minimum speed that takes place around FL200. The ATSB Report mentions that the crew cross-checked their intended holding speed against the tried-and-true Vref30+80 speed check. However the B744 FCTM actually recommends Vref30+100 when above FL200. Can you recall what ours says? Yep – When the FMC is not available, it’s Vref30+120 knots. In any case, that’s only part of the issue. The trap here is that the MCP was set up to fly a speed (223 Kts) based on an FMC prediction that would have been perfectly adequate at FL160 where the crew anticipated entering the hold – but not so much at FL220 (needing 240 Kts) where they not only took up the hold (a bit slow) but also commenced the outbound turn and levelled off – increasing the weight of the aircraft (at least momentarily) which would have exacerbated the low speed excursion. Something else worthy of note is in this image from the Report of the B744 PFD. Look familiar? It should – our 777 is pretty damn similar. Something to note (that is hammered home during UPRT) is that on the face of it, the margin between the Min Manoeuvre Speed (top of the amber arc) and Stick Shaker (top of the angry red squares) looks pretty decent here. But while in principle the Min Manoeuvre Speed doesn’t change with dynamic changes in load (such as during Turns, Levelling Off, Turbulence) – the Stick Shaker speed sure does. All you need to do (try it in the sim) is pull back and watch that margin reduce waaaay down until the yellow line is all but gone. It doesn’t take a lot of pull – and this crew had 30 degrees angle of bank (commanded by the Autopilot) and levelling into the Hold adding to the mix. So my question is – what’s YOUR exposure to the implications of this occurrence? I find myself musing now about how I do things and how that could lead to a similar occurrence. I have to admit that as much as I’m a tech geek and fully appreciate the value of the highest-level-automated-lowest-workload modes in the aircraft – I have a tendency to enter my holds using MCP Speed Intervention, and drive the aircraft around the hold based on the FMC Best Hold Speed. This practice would steer me clear of trouble, as long as I was not pre-programming the HOLD page with an altitude and using the Predicted hold speed, rather than the Best hold speed. I’m not sold on using the fully automated VNAV PTH while holding – but I have to admit that doing so would have kept a 777 out of trouble in this instance. 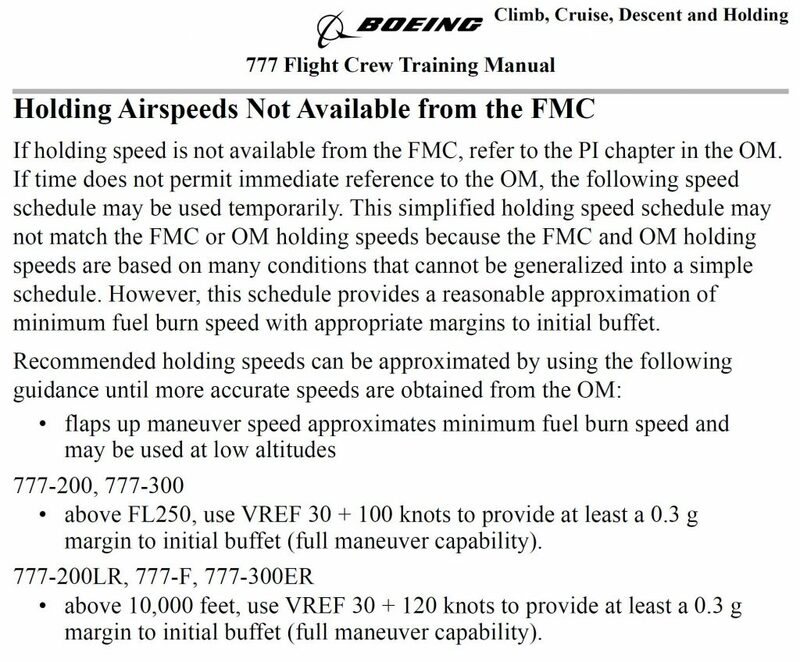 In any case – this is a cautionary tail in terms of predicting speeds/altitudes; relying on anything in the FMC without considering the implications (Garbage In … Garbage Out …) and the PF maintaining SA when all sort of other crap is going on in your flight deck. Again – do not take from this that I am criticising here the actions or reactions from this crew. The actions of any crew member during an event that for whatever reason comes to public light in this way is almost always the last, final response of a long logic chain of decisions and actions taken by others who never came near the flight deck of this particular aircraft on this day. In the end, the actions of the crew on such a day serve to either forestall that logic chain – or fulfil it.